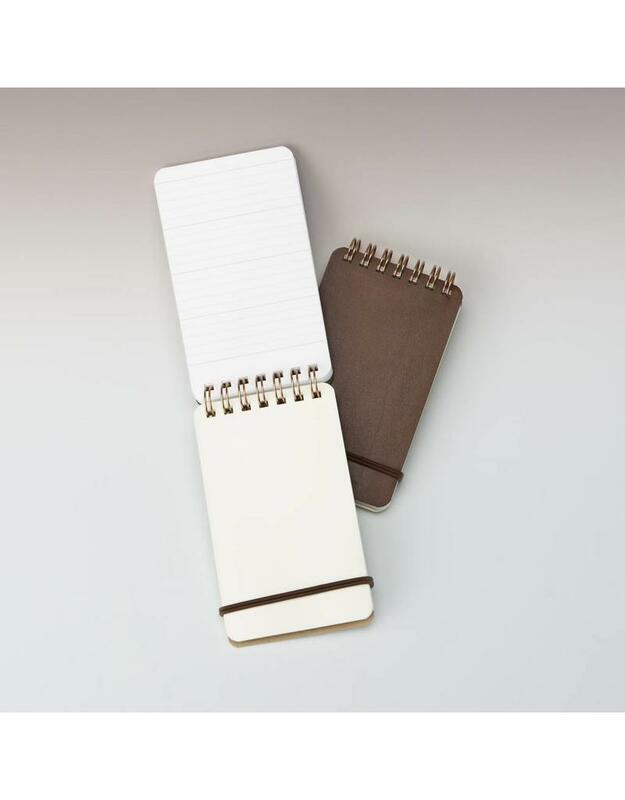 The Midori Grain Notepad is a new twist on a classic reporter style notepad. 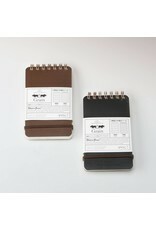 Marrying high quality Japanese MD paper and beautiful recycled leather from Spain, this little reporter is truly unique. Top-bound with double brass ring. 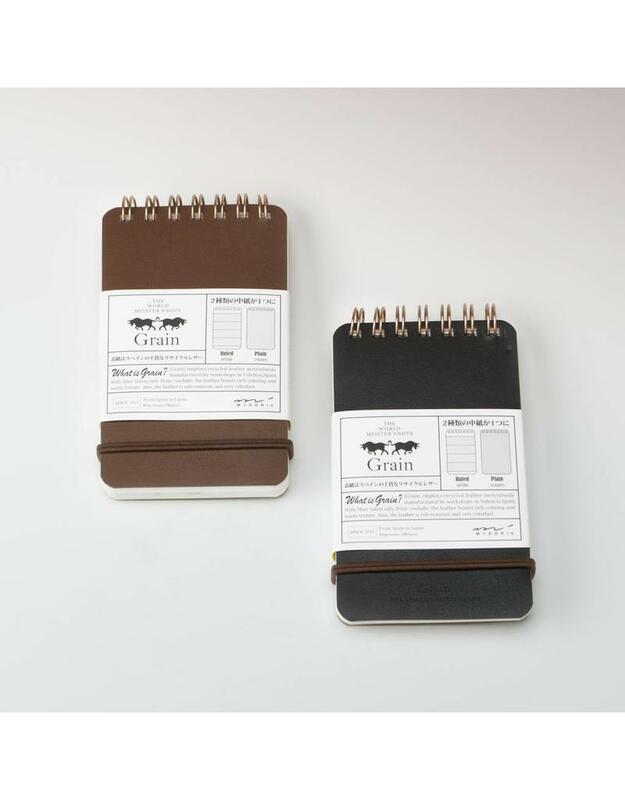 Each pad contains both lined and plain pages for all your sketches, notes, and lists. Measures 5.45" X 3". 100 sheets, 50 cream plain and 50 white lined. 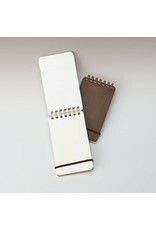 Double elastic band closure.